This page contains various videos, websites, software and other resources which will help students in Satellite Schools be better equipped and do better in their studies. CLICK HERE to download a copy of the current Student Handbook in PDF format. 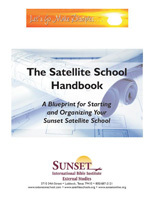 “A Blueprint for Starting and Organizing Your Satellite School” €“ Gives curriculum, costs, how to begin, levels of study, record-keeping requirements, and much more. Click here to download a copy. CLICK HERE to download the current book list of required books for each of our Credit Classes.